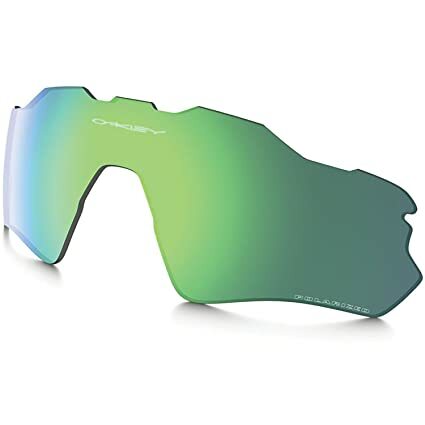 Get the right lenses for different conditions, replace scratched ones, or simply customize your look with the Oakley Radar EV Path Replacement Lens. 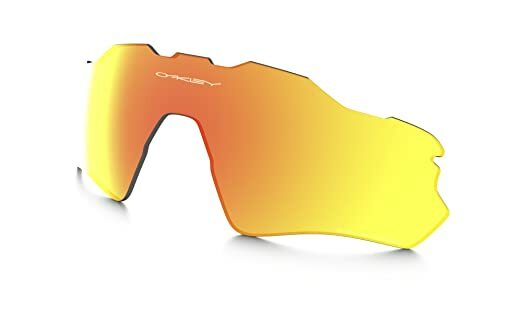 Get the right lenses for different conditions, replace scratched ones, or simply customize your look with the Oakley Radar EV Path Replacement Lens. Proposition 65 Warning for California Consumers: This product contains chemicals known to the State of California to cause cancer and/or birth defects or other reproductive harm. 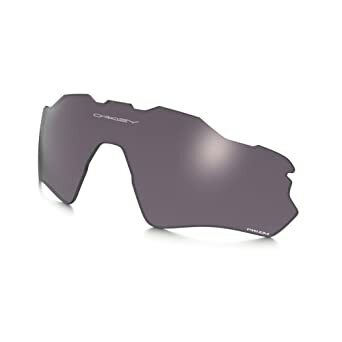 Another pair of sunglasses simply won’t do when you’re used to the optical clarity and ventilation of your Oakley Radar Path sunglasses. 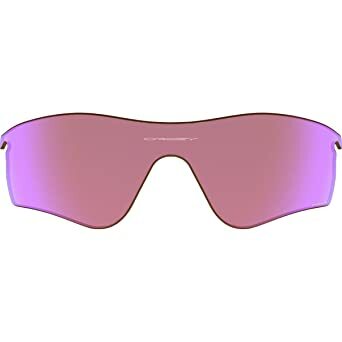 Luckily, they’re designed with interchangeable lenses so you can wear them in any light condition with these Prizm Replacement Lenses. 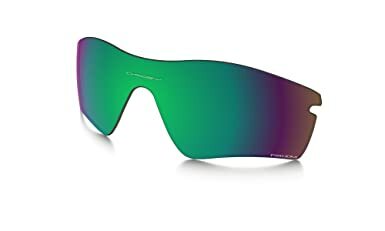 Prizm lenses reduce glare, provide stark color contrasts, and are made from Plutonite polycarbonate material for enhanced impact resistance.Proposition 65 Warning for California Consumers: This product contains chemicals known to the State of California to cause cancer and/or birth defects or other reproductive harm. 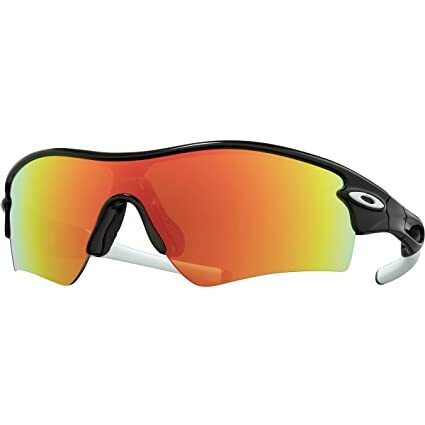 One of the many beauties of the Oakley Radar is the ease with which you can swap out its lenses. Oakley makes the perfect lens for any light condition, so by owning a few sets of lenses you’ll be ready for any circumstance. 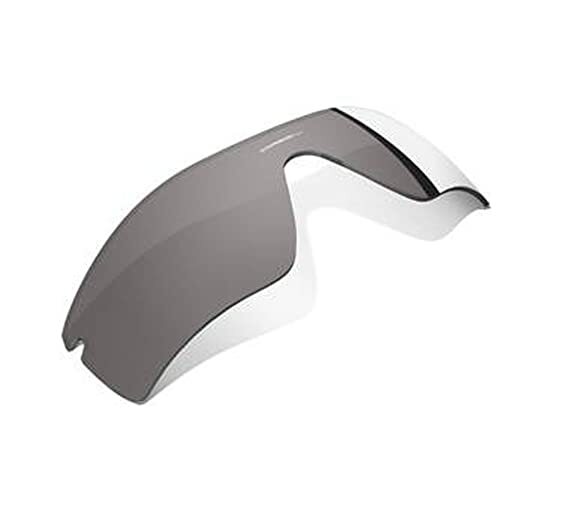 Removing an Oakley Radar lens is a piece of cake: With two fingers carefully pinch the nose bridge tabs inward. 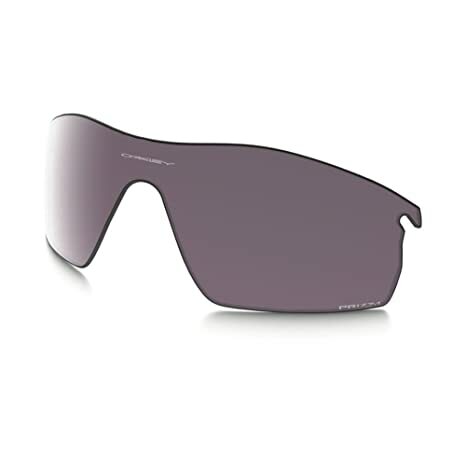 Then push the nose bridge towards the top of the sunglasses until the lens releases from the top. You can then pull the lens down and out.Installing the lens is even easier: Just insert the tab on the right side so it’s fully seated. Arc the lens outward slightly to insert the left lens tab. Then pull the top of the frame over the top of the lens while pushing the lens inward with both thumbs. When the frame is completely over the top of the lens, push the nose bridge forward so it snaps into place. Simple as can be. One additional note: No matter what size Radar lens you current own (Path, Pitch, or Range), you can swap your current lens out for any other size. We only offer the Path size lens because we believe it is large enough to protect the eyes while being small enough so it doesn’t overheat the head and seal the eyes off from the world. And overly big glasses fog up too easily. For those who are familiar with M-Frame lenses, this is kind of between the Hybrid and the Sweep. 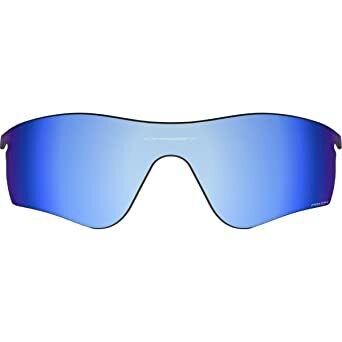 The Clear lens is an ideal choice for night riding, or a race in a downpour, or riding in otherwise dim-and-dismal conditions and you’re not so much worried about blocking light as you are protecting your beloved eyeballs. If you’ve spent only 5 minutes of your life on a group ride, one truth has already been made clear to you: Debris flying around at head level is a fact of life when you ride with others. 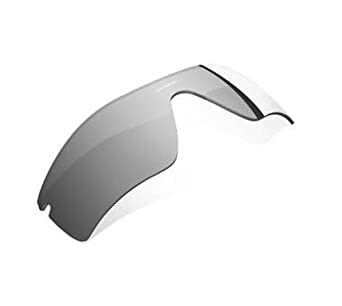 Neglecting to wear glasses makes about as much sense as leaving your helmet in the car.The Black Iridium lens is a superb choice for the spring and summertime. 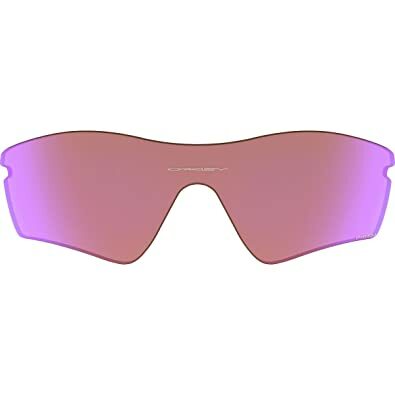 The Oakley Radar EV Path Prizm Replacement Lens allows you to choose the perfect lens for every activity. 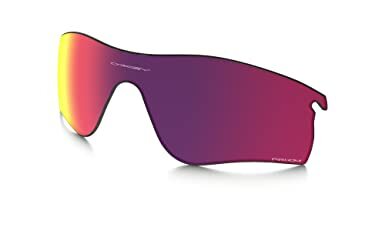 Oakley’s Prizm technology fine tunes vision for specific sports and environments for maximum performance, and the Radar EV Path’s interchangeable lens technology makes swapping lenses a breeze. 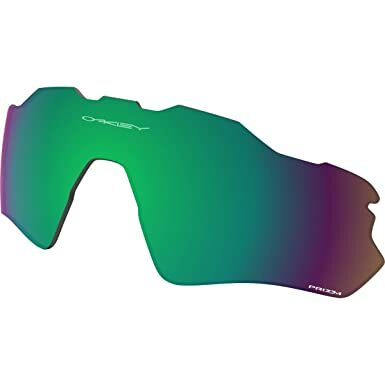 The Oakley Radar EV Path Prizm Replacement Lens allows you to choose the perfect lens for every activity. 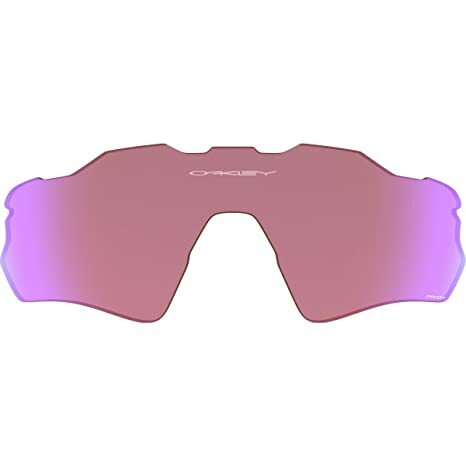 Oakley’s Prizm technology fine tunes vision for specific sports and environments for maximum performance, and the Radar EV Path’s interchangeable lens technology makes swapping lenses a breeze. Proposition 65 Warning for California Consumers: This product contains chemicals known to the State of California to cause cancer and/or birth defects or other reproductive harm.